Mortgage applications increased 4.2 percent week-over-week on a seasonally adjusted basis. On an unadjusted basis, applications decreased 17 percent week-over-week. The refinance share of mortgage activity decreased to 62.9 percent of total applications from 64.0 percent the previous week. 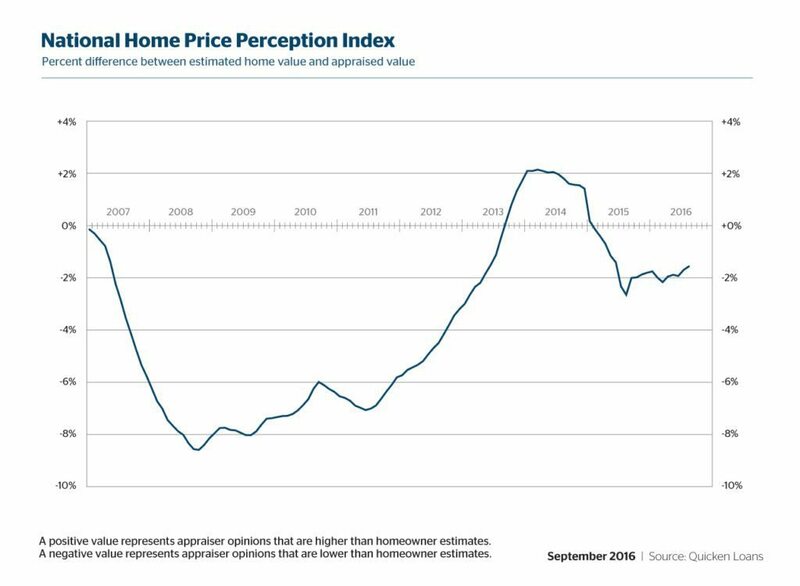 Appraised values were 1.56 percent lower than homeowner estimates in August 2016. Home values increased 1.73 percent month-over-month in August 2016. Year-over-year, values increased 8.13 percent. 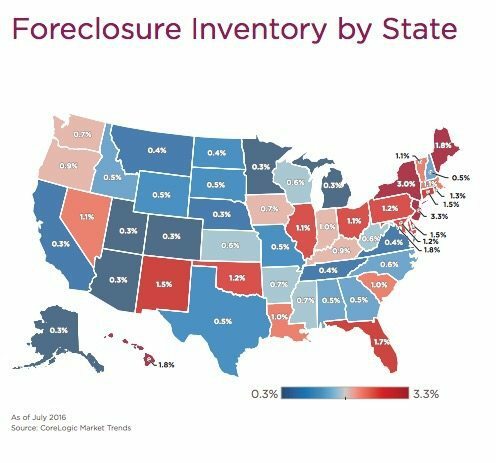 Foreclosure inventory was down 3.9 percent in July 2016 from June 2016. Completed foreclosures were down 34,000 in July 2016. This is a 16.5 percent year-over-year decline and a 3.9 percent month-over-month decline.